Free standing coat rack, available in single or double sided models. Coat rack comes with 10 theft-deterrent hangers for single sided version and 20 hangers for double sided version. 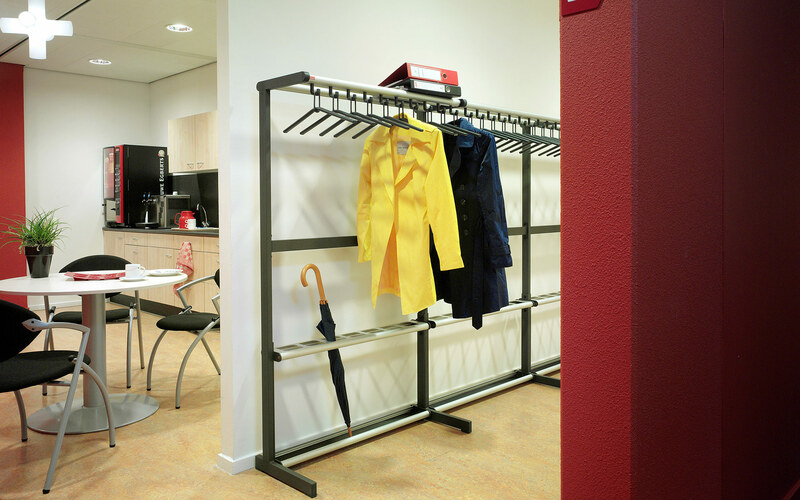 An integrated umbrella stand is available for the single sided version (T-EV/K-100).